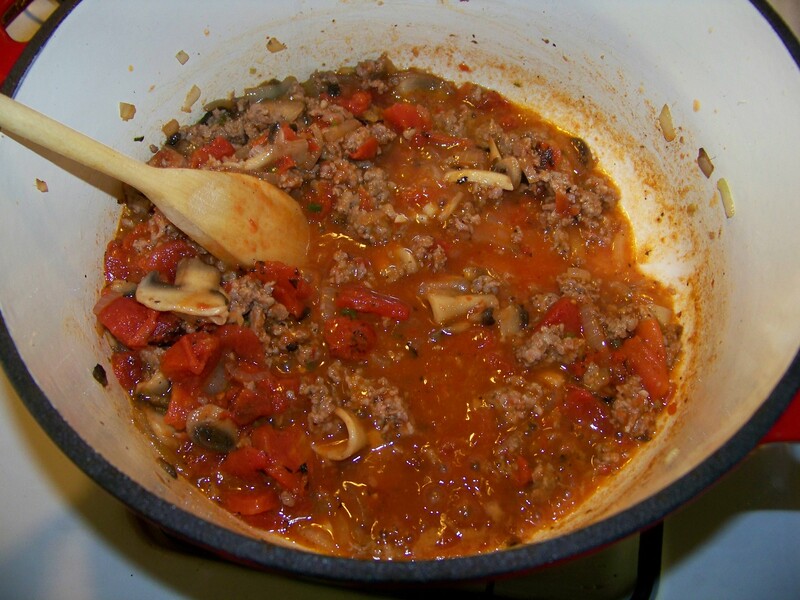 In the Region of Emilia Romagna in Northern Italy the tortellini was born. It is unclear why it is named tortellini; perhaps because of the architectural structures using a tortoise shell for inspiration but also the pasta is called little navels (ombelico) reminding some of the navel of Venus. 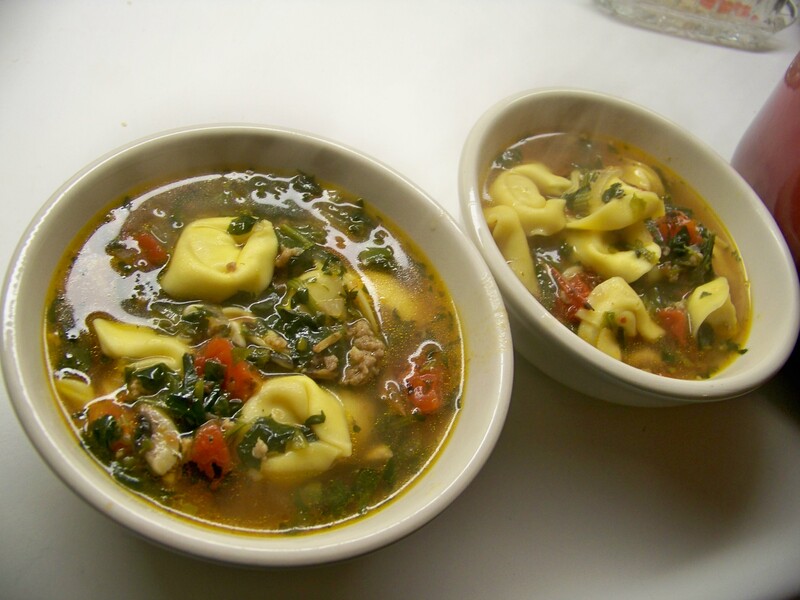 This divine reference is perfect for how this tortellini soup tasted and warmed us through and through tonight. I think Venus herself might have relished this soup. Just smelling it cook gives one a feeling of warmth. 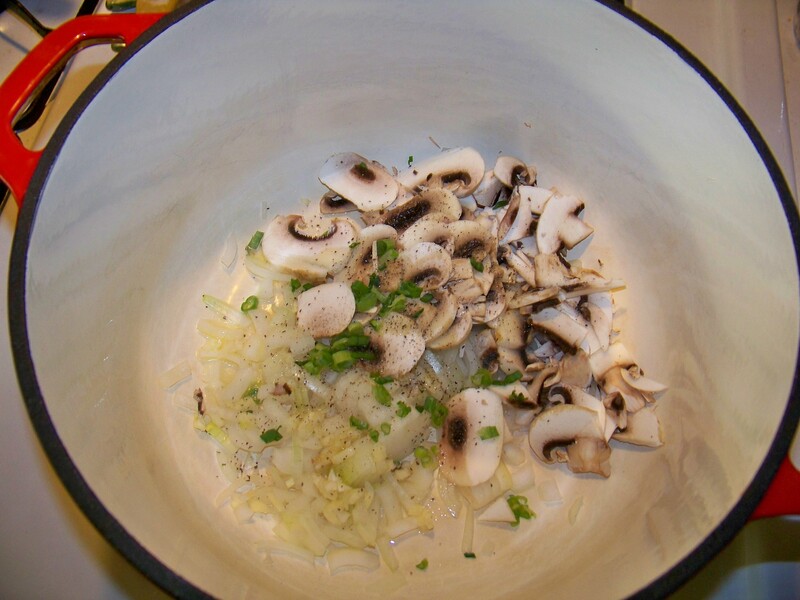 First, in a dutch oven or stock pot saute the onion, m ushrooms, garlic and scallion in olive oil until the onions brown a bit. 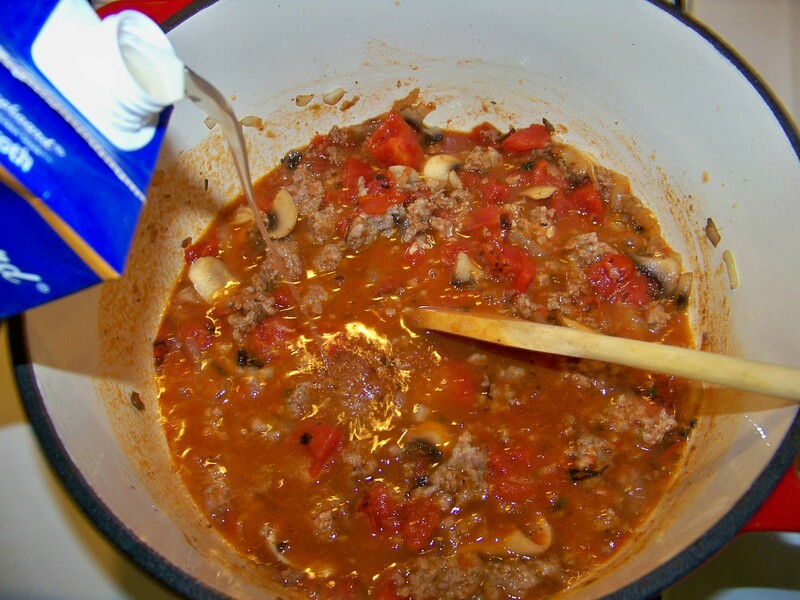 Brown off the meat, add seasoning if necessary, then add the tomatoes with the juice to deglaze the bottom of the pot. 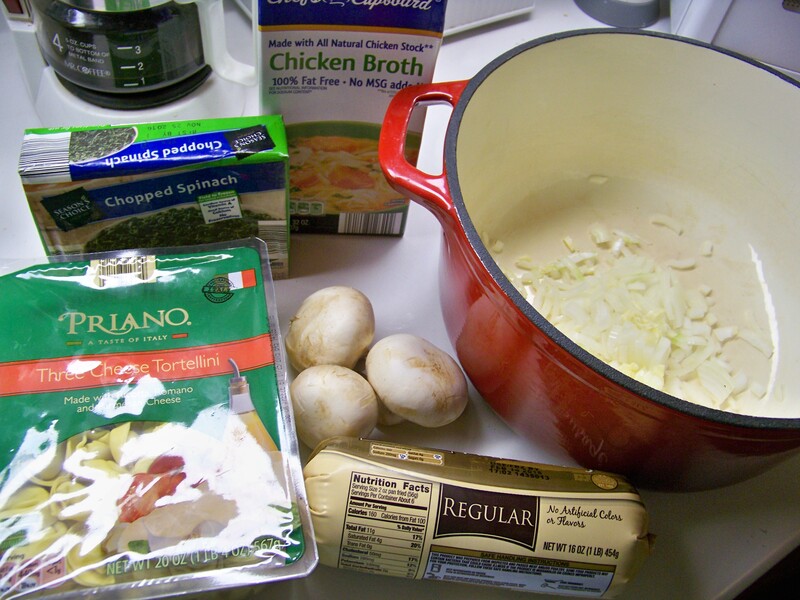 Add the stock, cans of water, and bouillon cubes and stir. 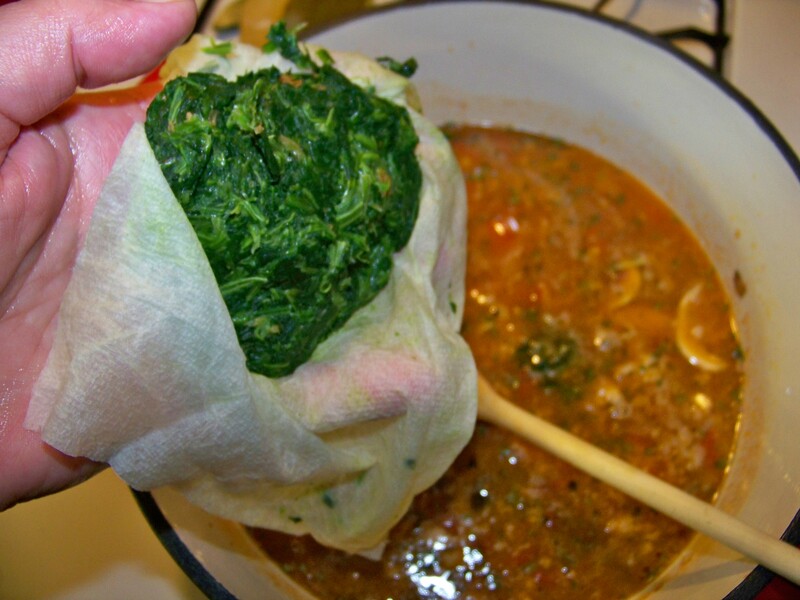 When the spinach is thawed remove half from the box and put it on a paper towel. At the sink squeeze out as much liquid as possible, open the towel and place the spinach in the pot and stir until it breaks apart. Let the soup come to a boil, add the tortellini and let it boil for about 5 minutes or until the tortellini it is tender. This only takes a little more time than boiling a big pot of water but instead of just hot water you get a delicious, nutritious body warming soup with such a depth of flavor you won’t believe could happen so fast. It will fill you up as well. On a chilly January night what more could one ask?